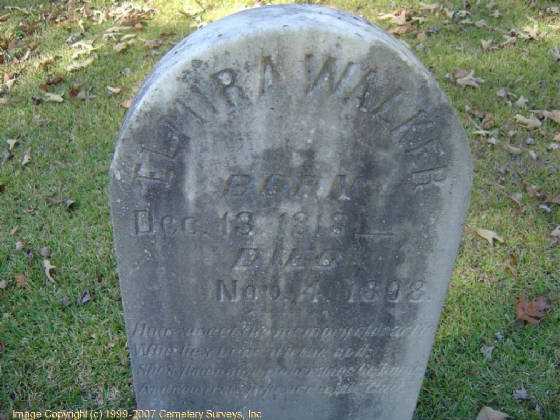 Interred af Walker Family Cemetery (Panther Top Rd. ), Cherokee County, N.C. 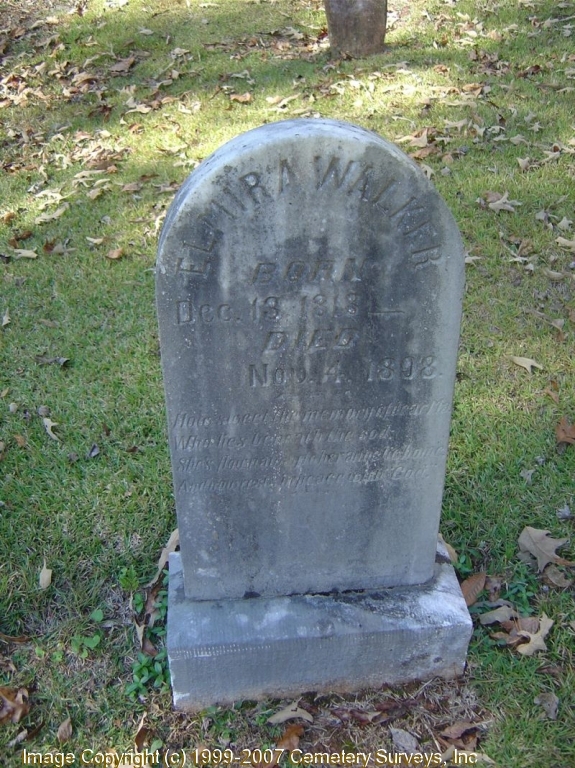 While her husband, Lieutenant Colonel William Clay Walker, was home in Cherokee County during sick leave on January 3, 1864, he was murdered by outlaws as his wife stood helpless in the midst. 1. Fort Fisher - the largest sea fort in the war that protected the vital town of Wilmington N.C., and the blockade runners so important for supplying Lee's Army of Northern Virginia. 2. Charleston - where the whole shootin' match started. 3. Bentonville - the last large scale battle of the war. 4. Outer Banks - early Union victories here were vital to capturing many parts of Eastern North Carolina from which the Union could launch several offensives. 5. Sherman's March - the destruction of certain towns in both Carolinas (particularly South Carolina) further weakened the South's will to continue the struggle. I also enjoyed reading about the locations of various gravesites of Confederate generals and their Civil War service. Indeed, if not for this book, this native North Carolinian and long-time Civil War buff may never have learned of, and visited, the locations of some of the lesser-known sites other than those mentioned above. Johnson's writing style is smooth--without being overly simplistic--and contains several anecdotes (some humorous ones too) of the interesting events which took place during the Civil War years. Highly recommended! In the course of his work, he made a sobering side trip to cover a "murder that was provoked by the display of the Confederate flag," and he spoke to a number of people seeking to honor their ancestors who fought for the Confederacy. Horwitz has a flair for odd details that spark insights, and Confederates in the Attic is a thoughtful and entertaining book that does much to explain America's continuing obsession with the Civil War. -- The names and addresses of all state archives. -- Names and addresses of institutions that hold microfilmed service records from the national archives. -- Names and publishers of useful regional Civil War reference books. -- Names and publishers of sourcebooks for identifying Civil War weapons and accoutrements. Historians, genealogists, antique dealers, and collectors of Civil War artifacts will find this concise guidebook of great value. But most of all it is of inestimable practical value to family historians, North and South, who are discovering the pleasure and satisfaction of compiling an accurate family history.